Front or back doors especially inward opening. Doors to garages and outbuildings. 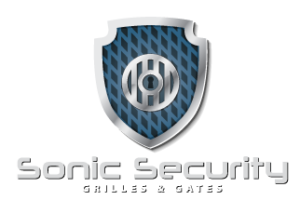 High Security Hinged Gates are designed to fit over front and back doors so that the door can be opened and security retained. This enables the home-owner to open their front door with confidence. Whilst the home-owner is out security is greatly enhanced by the provision of secondary protection. Allowances for letterboxes and individual design are incorporated as the gates are individually made to customer’s requirements. High security – 12mm to 19mm square or round bars, with full surround frame 25mm to 50mm. Door can be opened and security retained. Letterbox holes incorporated to suit customer’s needs. Manufactured individually to suit each specific opening. Ornate scrolling can be included to suit customer’s needs. Gates are supplied with either Adams Rite hook locks or 5-lever mortice deadlocks. Powder coated to an abrasive resistant colour finish for enhanced aesthetic appearance. 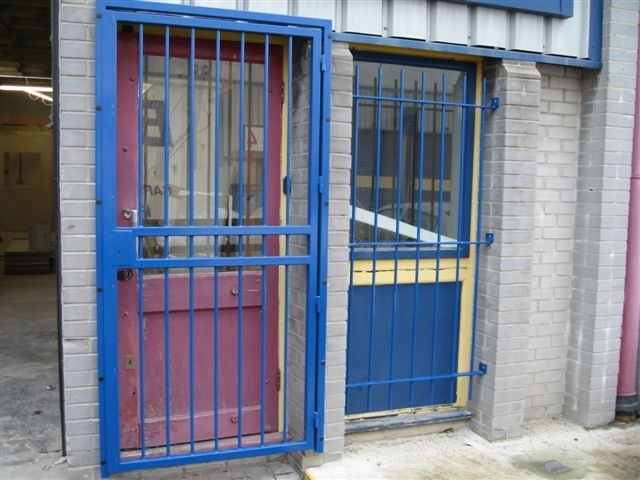 Do you require internal or external security bars/grilles? What type of solution do you require? Great - we've got suppliers ready and available. What email address would you like quotes sent to?